The methods of getting energy needed to perform mechanical work in production processes have had a huge influence on the development of productive forces at all stages in the history of human society. Such equipment, which is a giant achievement for mankind both in domestic and industrial sectors, is “electric drive”. 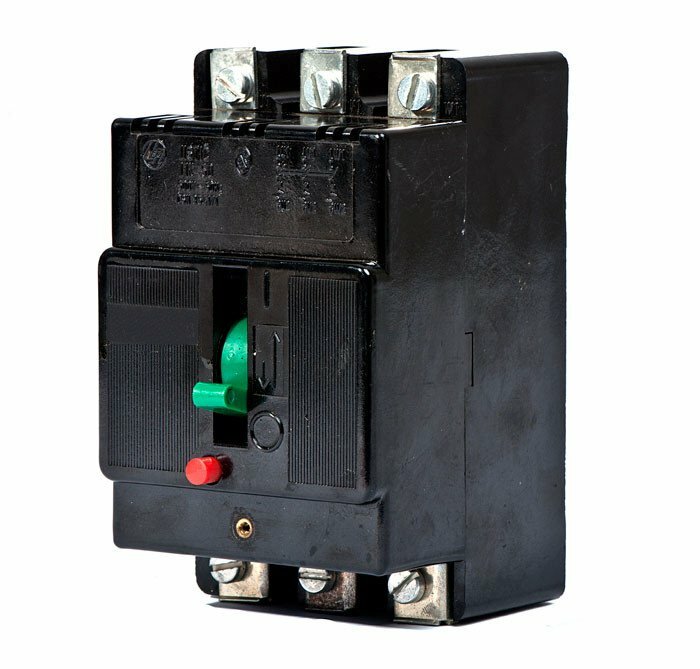 Major consumer of electricity (more than 60% – 65 %) are electromechanical systems (EMS) – electric drives operating as part of various industrial, transport and domestic mechanisms and aggregates. The role of EMS is constantly growing and at present, they influence the design of the mechanisms and aggregates, improving their dynamic features and functionality. 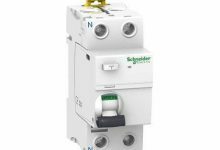 Some typical examples of energy savings due to the replacement of nonadjustable drives with adjustable ones are some devices, such as: pumps – 25%, fans – 30%, compressors – 40% and centrifuges – 50%. 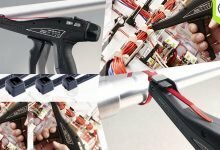 Due to the increasingly high degree of automation of manufacturing processes and the need to save electricity, the use of adjustable drives has increased at the expense of non-adjustable ones. Increasingly high requirements in terms of performance, accuracy and efficiency on the one hand and the rapid development of modern component base on the other hand require continuous improvement of EMS in the fields of industry, transport, construction, household, etc. improving the semiconductor element base, the use of digital control, improving the construction of motors, constructing integrated electric drives, shortening the kinematic chains, building a unit-modular method, the remote control of electric drives, developing smart electric drives and replacing the DC electromechanical systems with AC ones. DC motors are more manageable than AC motors due to the inability to independently regulate their coordinates (magnetic flux and momentum). They have disadvantages, connected with the presence of a collector-brush system, limited switching capabilities at high speeds, which requires the presetting of a current limit regardless of the speed, unsuitability for use in hazardous and corrosive environments, need for periodic maintenance of the collector-brush system, large volume and small power/weight ratio. These problems can be solved by the application of AC motors which have simple and robust structure and high level of operational safety. They are also economical, durable and resistant to overloads. The rapid development of power electronics and microelectronics creates opportunities for successfully tackling more complex problems in their management and increases their practical usage. Another important trend in the development of EMS is the growing interest towards EMS with sensorless control. 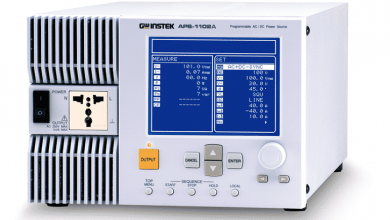 In such electric drives the basic adjustable coordinates (speed and angular position) are measured indirectly, without electromechanical sensors. 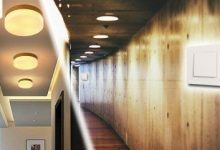 Using fast microprocessor systems allows in many cases the dropping out of expensive motion sensors and the corresponding coordinates are evaluated based on the electrical signals that are available for measurement. The elimination of sensors, mounted on the motor shaft, provides low cost of the electric drive as a whole, higher security when operating in a hostile environment (high pressure, high temperature, humidity, etc. ), compactness, easier maintenance of the electric drive system, as well as very high speeds. 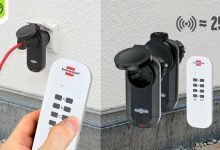 Despite the advantages of sensorless control systems they are currently not able to replace the systems with electromechanical sensors without imposing some restrictions on the drives, but we can say that sensorless control is considered very promising in the future. Control systems of AC motors can be generally divided into two groups – scalar control systems and vector control systems. In scalar control systems the relevant variables are controlled only by value, and some examples of scalar control of induction motors are systems where the voltage is regulated by AC current switches and frequency control systems, where the value of the stator voltage is changed in accordance with the frequency to provide a continuous overload capability. 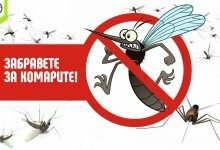 In vector control systems the relevant variables are controlled both by value and phase, whereby high static accuracy and a wide range of speed control are not required. The torque and the current components are separated and the transitional characteristics are similar to those of DC current machines with independent excitation and the system adapts to any overloads as fast as DC motors. Thus, this management of AC machines is becoming a powerful and often borrowed technology worldwide. 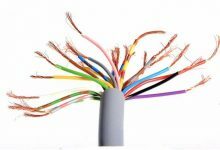 Speed regulation by modifying the frequency of the current is one of the most economical ways with the greatest perspectives for application. 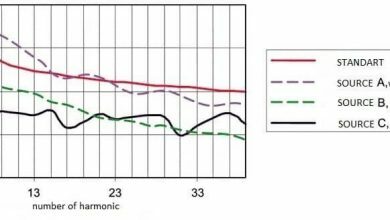 By adjusting the frequency of the current, the synchronous speed of the motor is amended, which leads to new mechanical characteristics. It should be borne in mind that the new mechanical characteristics require adequate overload capability of the motor and respectively a starting torque. 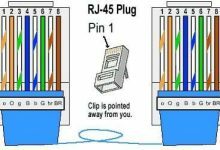 For this purpose, together with the frequency control there should be a modification of the voltage of the feed source. 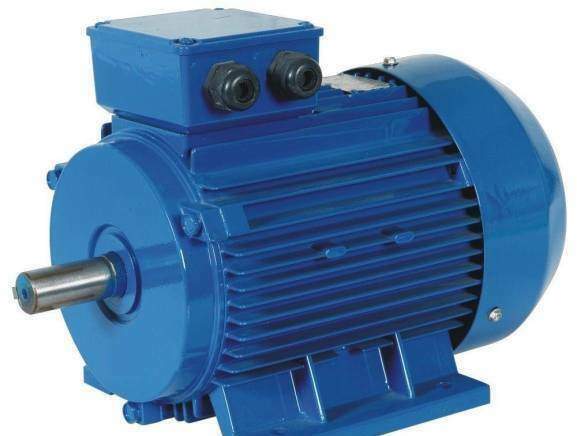 In the late 50s and early 60s of the last century, there is a limited range of application of induction motors, managed according to the well-known law U / f = const, when it comes to operating at low speeds. Modern electric drives with management U / f = const use pulse-width modulation and inverters with IGBT (bipolar transistors with insulated base) with a wide range of speed modification, including very low speeds, although operation at speeds approximately equal to zero (the frequency of control voltage is less than 1Hz) remains a major challenge due to the manifestation of nonlinearity of the inverter at low output voltages. 4 . 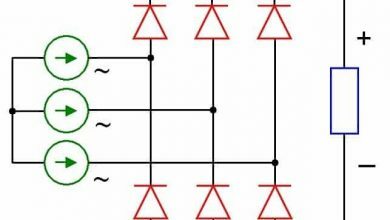 Influence of the non-linearity caused by the pulse-width modulation of the inverter. 1. Measuring and regulation of the current. 2. Changes in the gain coefficient of the inverter, due to skipping of pulses. 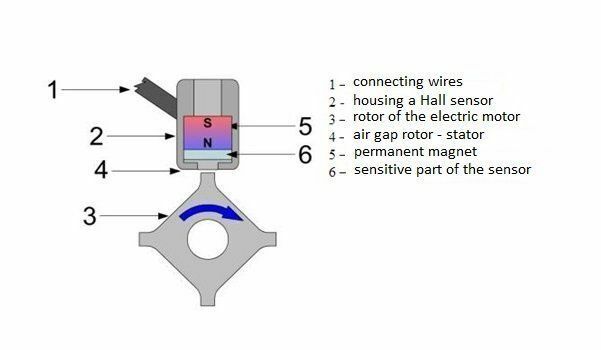 Hall sensors: DH1 and DH2 are located in the air gap of the motor and they are used for measuring instantaneous values of the magnetic induction in the places where they are installed. The rotating magnetic field generates signals in the sensors, which can be further used for determining the rotor flux-linkage and hence according to certain indications – the rotation speed of the motor. Sensorless speed estimation has some advantages such as: reduces the size and the cost of the machine, there is no need to use an encoder or a tachogenerator, the work with the specific drive is facilitated, there is no need to use a sensor cable and increases the reliability. In recent years, various methods for sensorless speed estimation have been proposed. Sensorless speed estimation can be realized by using different methods, the complexity of which is determined to a large extent by the required range of regulation of the drive and the requirements towards the speedometer’s fidelity. The methods for determining the speed of the induction motor are classified into five groups. The first group refers to maladaptive methods in which speed is determined directly by measuring the voltage and the current of the stator, and methods based on speed evaluation by determining the supply voltage and rotor generated voltage. The second group includes adaptive methods. 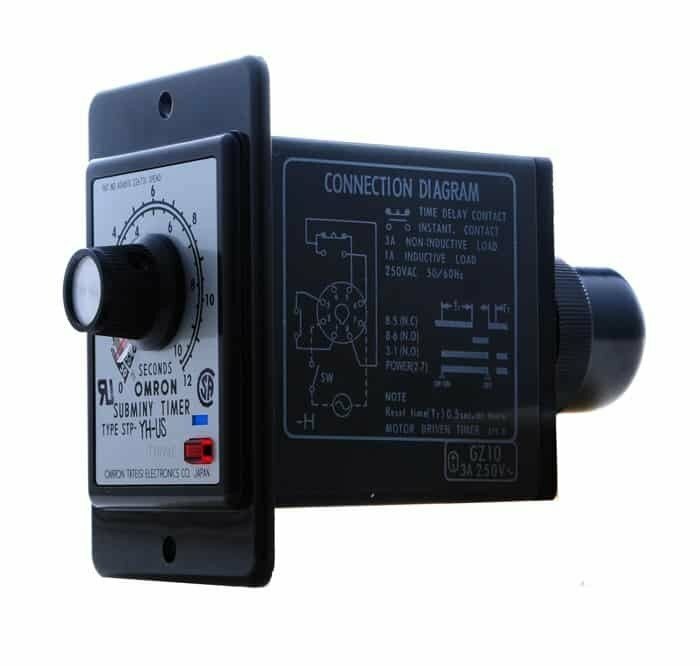 They are used in closed systems for regulating the electric drive, where the adaptation is applied to enhance the accuracy of the measuring system. The third group includes methods based on the design characteristics of the motor and using the information in the magnetizing curve of the machine. 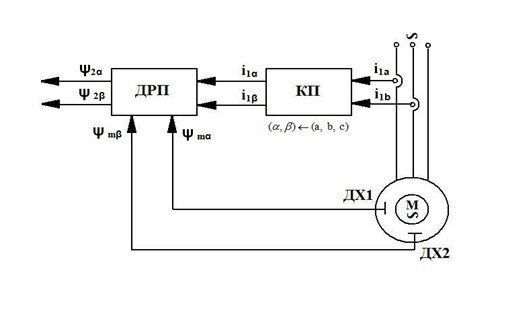 The fourth group – these are non-linear methods based on the theory of neural networks and the last fifth group is a group of methods using additional high-frequency signals or other additional information to improve the accuracy. There is an elaborated system for sensorless control of induction motors with orientation of the magnetic field. It is used to study the ways of determining the speed according to various indicators such as overall performance, static error, dynamic behavior, steering stability at low speeds and sensitivity to modification of parameters. 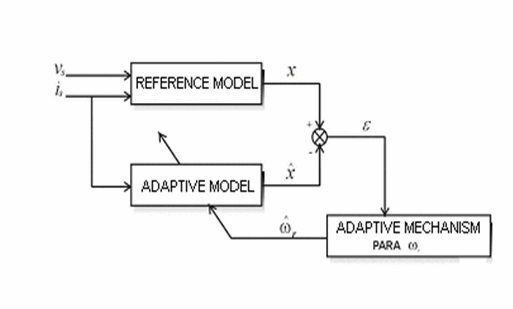 In model adaptive systems there is a comparison between the outputs of the two models. The management through an adaptive model of the object achieves high performance and results due to the presence of the reference model, which exactly defines the desired characteristics. The model, which does not include computing quantities is marked as a preset model of the asynchronous machine and the model that involves computing quantities can be regulated as an adjusting (adapted) model. The adaptive circuit uses the stator voltages and currents, in order to compare the output of the reference model with the output of the adaptive model. Then, the rotor speed is calculated based on the difference between these variables. Basic structural scheme for assessing the speed based on a preset model adaptive system. The measuring system of the stand is composed of a module for converting the measured values, including three voltage transducers of the type LV25-P and three current transducers of the type LTS-15NP of LEM Ltd., which receive information directly from the electric motors, computer card NI USB- 6009 of National Instruments Ltd. for converting the measured values to make them suitable for computer processing, personal computer for exchange of information, the respective electric motors, which will be examined, and a software environment, in this case Matlab Simulink. Using the elaborated adaptive schemes modeled and described in the previous chapters and the experimental set up scheme shown on fig.5.1 there was a study of transient processes during the blank run of asynchronous machines respectively of the type T80B- 4 with rated power 0,75 kW, type AO- 90S- 4 with a rated power 1,1 kW and type AOM- 412/4 with rated power 2,8 kW. Тhe presented ways of evaluating the speed are compared and tested according to various quality indicators of the transient process of the asynchronous machine such as: general performance, static error, dynamic behavior when load time is changed, steering stability at low speeds and sensitivity to parameter modification. Economic evaluation of the results is directly related to the assessment of the technical (hardware and software) solutions applied in the elaboration. 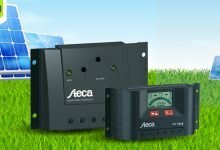 When building a control system for electric drives, along with the digital control system, it is necessary to provide transforming peripherals for connection with the power measuring sector (currents and voltages). 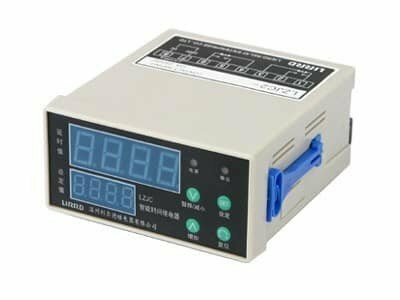 The measuring of voltages and currents is performed by the so-called current and voltage transducers, with prices approx. 50 BGN / piece. We must also mention the ADC / DAC module of National Instruments, which is responsible for the drives’ communication with the programming environment, the cost of which is about 270 €. Along with this assessment, we also need to consider the price of the used software (Matlab / Simulink), which is several thousand levs. 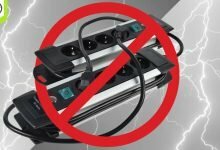 From economic point of view and based on the little but enough information mentioned above, we can say that we need serious investment in order to realize such a system for studying electric drives. 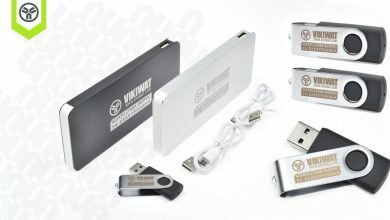 In terms of technical efficiency we can point out the relatively easy construction of the system, the good communication between the elements, the rapid presentation of the required information by the module of National Instruments (NI 6009 USB) to the well known software environment of Matlab Simulink. Based on the experimental and theoretical results which we presented and which are directly related, we can say that the system has proved its efficiency and can be used in scientific laboratories.